The 9090DB is having a problem with its right channel, so while I wait for my repair guy to not be on vacation, I’m using the spare Nikko Alpha II. It’s got power, nearly as much as the Sansui. I don’t like the sound as much though, not as musical and no real character. 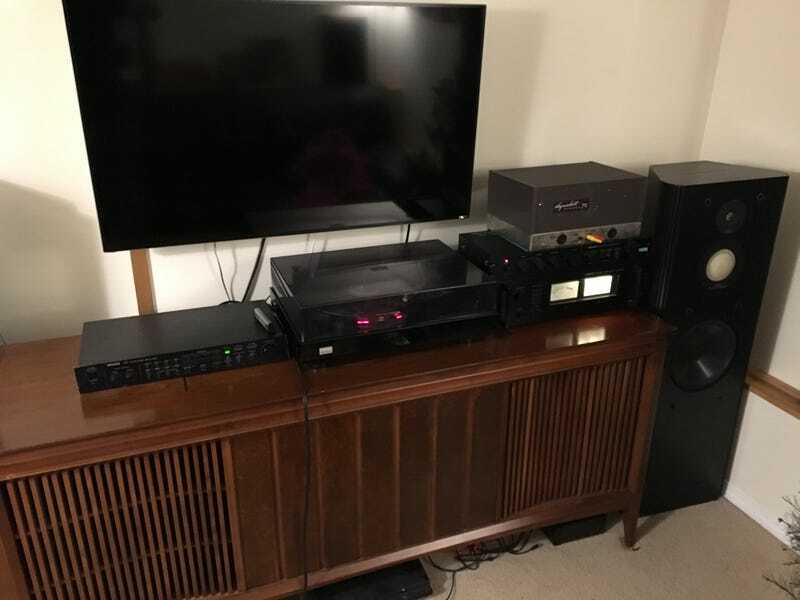 I’m not objective enough about equipment to say for sure which is actually better, but I definitely prefer the sound of the big Sansui. Poor thing. I’d run it anyways despite the weak right channel, but I’m worried I may damage something if it’s not running right.